Reassurance shield after the business loop split. 60 generally bypasses Aurora to the south, and as we get roughly parallel to downtown, we’ll approach Route 39. 265 north will split to join 39 north. Follow 39/265 north to downtown Aurora. 39 south heads to Route 248. 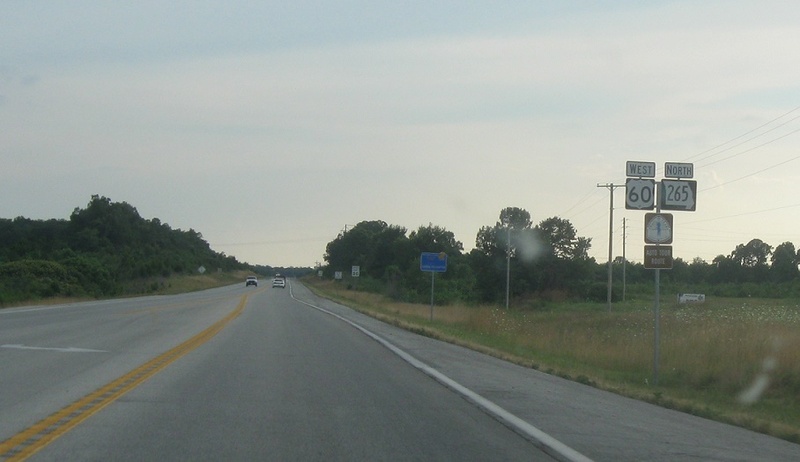 US-60 continues to Monett. 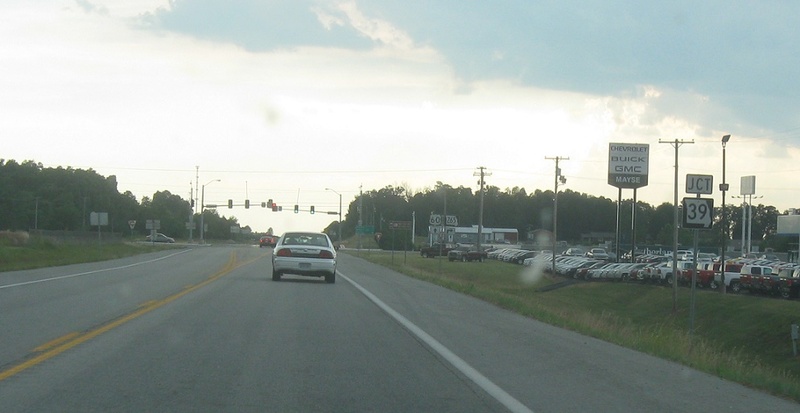 Turn right for 39/265 north and left for 39 south.